Civil Liberties Australia Inc’s electronic Annual General Meeting for 2014 has concluded, with a 56% ‘turnout’ overall. This is slight decrease on the 2013 vote of 58%. This year did not require the election 0f Board members and only involved the voting on the annual reports. No Notice of Motions was received for consideration at the eAGM. We also received very many favourable comments on CLA’s work during the year…and a few suggesting change and improvement. This is the Report of the 2014 electronic Annual General Meeting of Civil Liberties Australia Inc. A04043. It comprises the ‘minutes’ of the 2014 eAGM. There were 259 electronic voting tokens issued, with 146 members voting for an online voting percentage of 56% . A further 19 postal votes were issued, with 10 members responding via post for a 53% postal voting percentage. Combined, there were 156 votes received from 278 eligible members, for an overall voting percentage of 56%. There were no dissenting votes to any question. CLA members can vote for the Board of Directors every second year. In accordance with the CLA Constitution there was no election of directors as part of this 2014 eAGM. The above results are ‘declared’ for the 2014 eAGM of CLA. Many similar comments to these were received: all negative comments are included below. Keep up the good work…great work…well done…great work…keep up the great work!! !…Lets keep up the good work! (and a number of others similar to these). Report shows another busy year. Well done, you all. Wish I could offer to do more to help. Congratulations to the Board. Board of Directors doing excellent job! Every CLA member should ask a friend to join, today! …Wish I could do more. The CLA is to be commended on its forthright approach to civil liberties and human rights issues, negative aspects of which appear to press ever more heavily upon us in our daily lives and in government agendas. The absence of face to face meetings limits the opportunity for members to ask questions about the various reports and to discuss issues and priorities…it means the Board (executive) receives little or no guidance from ordinary members about priorities etc. It’s my belief that we are doing a fine job writing letters concerning human rights to the newspapers. Can the movie Shadow of Doubt be shown publicly again? With approval and some background info on the movie, I would offer it to the ARC here in Canberra. It would appeal to people who go to that theatre. Congratulations on another successful year to the dedicated CLA volunteers. The eAGM is an excellent idea and the screen presentation is very user friendly. I fully agree that forming associations with other civil liberties and freedoms groups is vital for the future of CLA, and indeed Australia’s claimed status as a liberal western democracy. Membership needs to increase, although I admit I am not totally sure how to achieve or assist with this. I think the comment about the dangers of freedom of speech law ‘ping pong’ is important It appears that the AG may have realized this, but a sensible balance is difficult to achieve when those groups most likely to feel offended are important sources of votes. A great organisation, making a great effort to defend & promote civil liberties. Well done!! 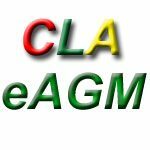 I’m very happy with CLA organisation’s push/fight for personal freedom and for the rights of the people protected. Although I also believe Australia – in human rights – carries a high standard as opposed to some countries (Southern Europe is one example). Nevertheless, there is always room for improvement and CLA work in this direction is fundamental. I fully support your work. You are doing magnificent work. I especially congratulate you on your use of technology to promote the organisation’s objectives and to keep members informed. Thank you for all your work. Keep the pressure on (and thank you!). I think the present team (!) is doing a great job! Well done – great work. You need a membership drive to double your numbers each year! How? How about law students or Uni students in general? Actors – find some to be your faces? Sport people with heart? Community radio? Help get speakers on issues to radio who then also plug you (eg Eve Ash or Barbara Etter on Sue Neill-Fraser case). Perhaps the SNF petition should also live on CLA site? CLA much needed in the Australia of today. How can one improve on perfection. CLA does a great job. The Newsletter is very informative. Long live CLA. Yes, I have read the reports and voted accordingly. I thank the CLA for their wonderful work which, sadly, appears to be needed even more so in these tumultuous times of lies, racism and xenophobia. All reports very comprehensive. A lot was achieved by a small group with minimal resources. I liken CLA to the ABC …Both provide the public with vital information on issues of importance such as human rights. I want to encourage CLA to continue to lobby and do what is reasonable to push a libertarian agenda. Avoid fashionable issues and focus on what can be done to resist or reverse attacks by governments on our rights and liberties. I admire and strongly support the work of CLA. Thank you for the work that you do for the benefit of all of us, all Australians. Keep up the great and important work. Keep up the good work (Cairns). I am greatly appreciative of the work of CLA and apologise for not being as active as I might be. Today, more than ever, Australia needs to be reminded of the values promoted by CLA. Thanks for all who make that happen. Thank you all for your vital and important work. Interest in the disproportional number of indigenous prisoners should be directed more at recidivism which really is a cross cultural issue. Rights of children to better public health, housing and education have also been eroded in modern Australia. Keep up your good work. The electronic idea is good, but depends a lot on the local groups, and I hope we can do something about that, though of course for everyone time is short. I would simply state how much I congratulate CLA on fighting so hard to preserve our democracy in this fear driven toxic political climate. Australia appears to be one of the most over-regulated and subjugated societies in the world. Depress and frustrate people enough, and that is the ultimate control. We need CLA to keep fighting this heinous situation. I can only endorse the comments commending the work done by this organisation and the way it acts as our conscience in a social order which seems to deteriorate by the day.